Social Media Login is one of the good to have features for any website which offers the user, member registration/login feature. 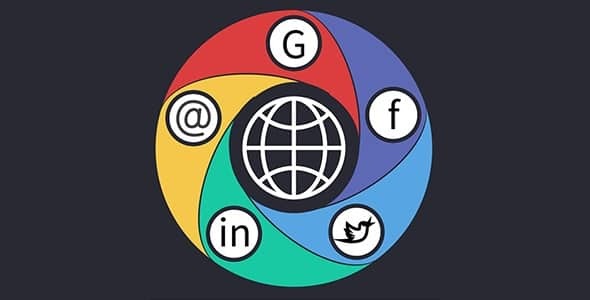 Many of the websites these days offer options to log in to the website using the credentials of different social media platforms. Features like Facebook Login (FB Login), Twitter Login (Twitter Auth), Google+ Login are offered by many websites to make the user registration and login convenient. Social login feature allows your users to log in to your website directly via any social media they choose. It is more convenient for the users; they don’t have to register a new account, waiting for approval and go through manually sign up the process. Rapid Sign Up: Since your customers won’t have to fill up anything for logging in to your website. They can quickly sign up on your website. Email Contact: As most of the social media networks will let you pull the contact details of the logged in users. You can use them for communicating as well as for email marketing. Spam Reduction: Because most of the people use the real data on their social media accounts, the rate of fake ids and spammer gradually decreases. Here, in this article, I have enlisted some of the Best WordPress Social Login Plugins that provides social media login access to your website users. These plugins are very popular and highly sold due to its cool and easy to use functionality. Also, they are well tested and are compatible with the latest version of WordPress. So, you won’t have any problem while installing them on your WordPress website. AccessPress Social Login is an ultimate WordPress Social Login Plugin that allows your website users to register/login to the website using their favorite social media accounts. It comes with 17 beautifully designed templates to select the social login buttons/icons for fitting them perfectly with your website’s overall designs. It is a highly configurable plugin that allows you to enable/disable logins through the certain social media. Besides, the plugin also comes with shortcodes to display different login form on different website’s area such as on registration section, comment section etc. You can also check out the lite version of the plugin – AccessPress Social Login Lite. 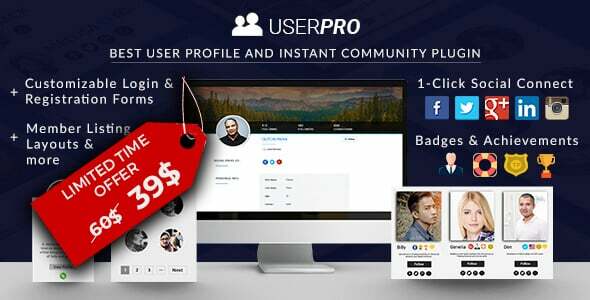 UserPro is a fully featured User Profile Social Login Plugin that allows you to create beautiful frontend user profiles and community sites. The plugin comes with different options to customize your login buttons and registration forms. Besides, the plugin also comes with other features like social connection/integration, membership payment, user badge etc. 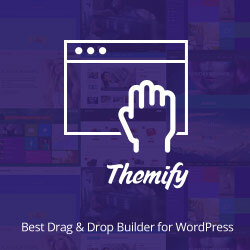 It is an easy to use plugin that comes with intuitive drag and drop administration panel. Also, the plugin comes with 4 ready to use skins to choose your login profile. Additionally, it also contains 350+ FontAwesome icons and unlimited Google fonts to customize the fonts. 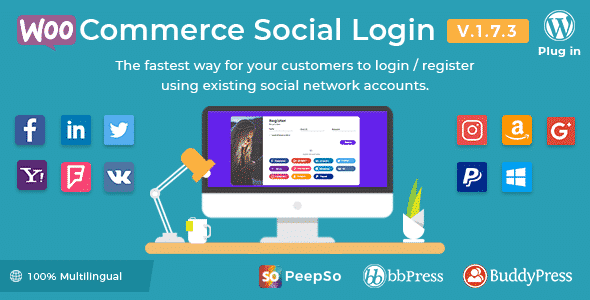 WooCommerce Social Login is a Premium Social Login WordPress Plugin that allows you to integrate your website with login forms, registration, and checkout forms. It supports 11 popular social networks. Hence, your website user can log in to your site using their favorite one. It is an easy to use plugin that comes with drag and drop reorders to change the order of the display of your social media network. Besides, the plugin also visually represent the statistic of your social network used by your website user for registrations. Social Login is a Premium WordPress Plugin that allows your website user to enter your website using any of their favorite social media accounts. It supports 9 major social networks API. They are: Google, Facebook, Github, Twitter, Instagram, Linkedin, Dribbble, OpenID, and Yahoo. It is an easy to use plugin that comes with easy setup and configuration. Besides, social login, you can also add Mailchimp, Envanto purchase verification and Google Re-captcha for your security concern for spams. Wow Login is a convenient Social Login WordPress Plugin for secure registration and authorization on the site via different social media networks and emails. It is an effective tool for the website administrator that allows you to create the database of the email addresses and lets you interact them with modern emailing service. It is an easy to use plugin with flexible configuration options. Using the plugin you can allow your site’s user to register and authenticate through 4 major social media networks or via email. Besides, the plugin also comes with shortcodes that allows you to add the social login feature on any page/posts on your website. The above-mentioned plugins are the best WordPress Social Login Plugins that are available on the internet. So, if you are interested in adding the social media login feature on your website, you can use any of the mentioned plugins on a reasonable purchasing price. Hope, the article is helpful for you to find a perfect plugin to add the social media login functionality on your WordPress website. If you have any queries, suggestions or recommendations related to the article then, you can write about it in the comment box below. 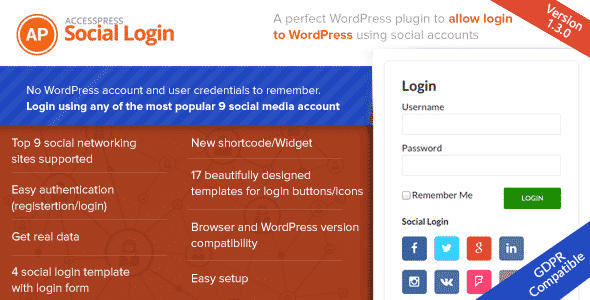 Best Seller / Best Rated – Social Login WordPress plugins available at CodeCanyon! 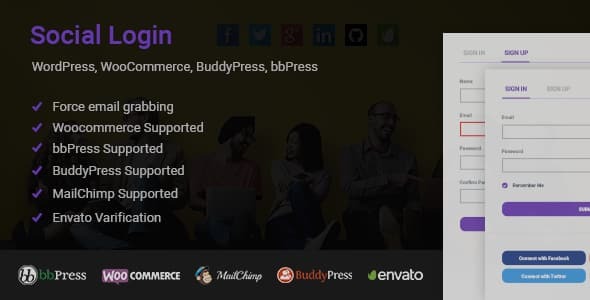 Hey Buddy!, I found this information for you: "5+ Best WordPress Social Login Plugins 2019 (Facebook login, Twitter Login / Twitter Auth, G+ Login, LinkedIn, VKontakte, Instagram, Foursquare, WordPress, Buffer Login)". Here is the website link: https://wpallclub.com/best-wordpress-social-login-plugins/. Thank you.